BRING A DISH - WEAR A HAT!! PLUS ROCK AND SOUL REVUE!!! MONTHLY MEETINGS ARE BE HELD ON THE 3RD SUNDAY OF THE MONTH AT 9AM. ALL MEMBERS ARE WELCOME TO ATTEND. I can't thank you and the club enough for everything that you did to make Saturday a HUGE success. From the delicious eats to beautiful and gracious welcome you gave to Sonia, it was a truly special concert and made the musis festival. I loved how everyone who was walking by stopped, poked their head into the concert and danced around. What a wonderful community event! I look forward to many more shared programs and the start of a fruitful relationship. We are in the midst of the hustle and bustle of the holidays, but as the new year approaches, we want to take a moment to slow down and reflect on the past years blessings. 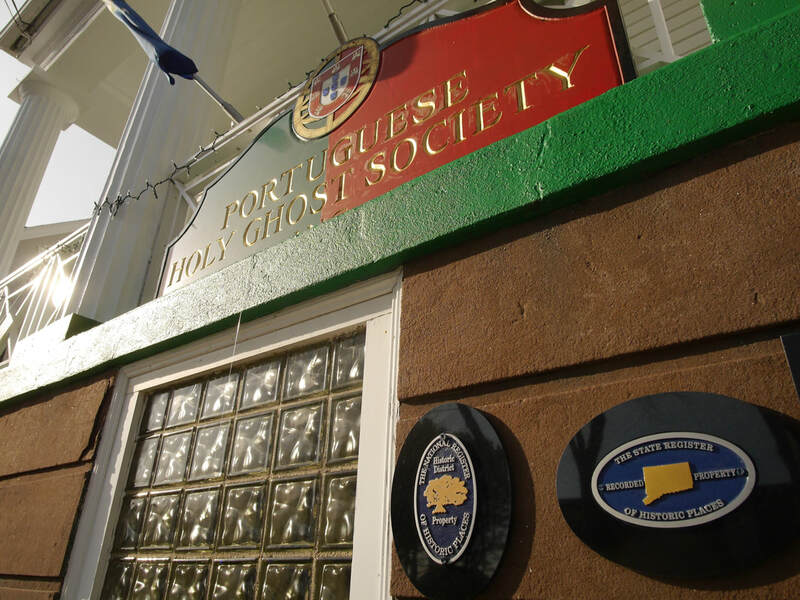 Dave and the members of the Portuguese Holy Ghost Society are at the top of our blessings list. You have truly touched so many of our Veterans’ and their families this Thanksgiving and throughout the last year. Your generosity, once again, provided the Community Living Center the where with all to cater the finest Thanksgiving celebration many of our Veterans have ever enjoyed. For many of our Veterans, this would be their last Thanksgiving and because of you, their last Thanksgiving was a warm and rich one spent with their families and friends. We are thrilled to report we served over 100 Veterans. This year we even had staff’s children join in providing music for the dinner. Because of your benevolence, we have not only well fed and happy Veterans and families, but also flourishing plants in the Veteran’s Conservatory and happy fish in both the salt water and fresh water tank on Heroes Harbor. These places offer sanctuaries from the rigors of hospital life and medical procedures. We are forever grateful for the many blessings “our angels”, Dave and the Portuguese Holy Ghost Society, have brought to the Veterans and the Community Living Center. The Stonington Historical Society has published a new book by a local genealogist, Henrietta Mello Mayer. 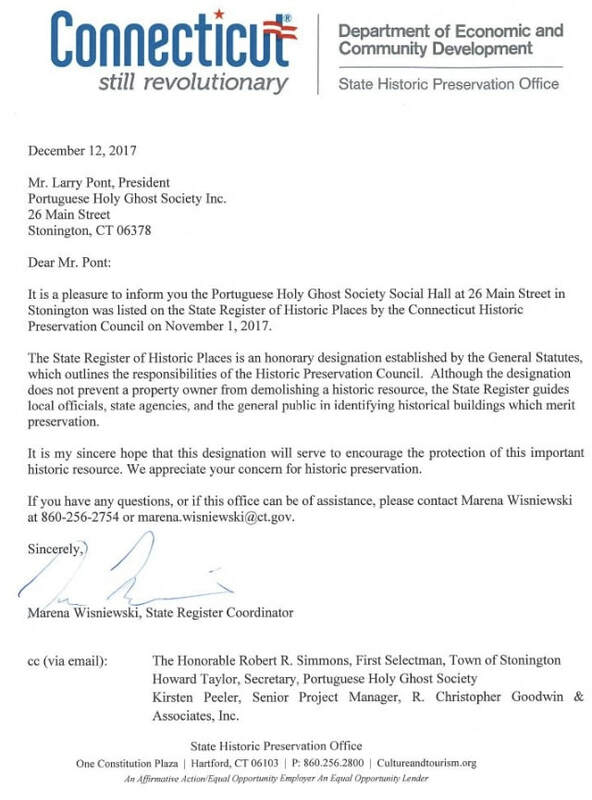 The book, “South of the Cannons, the Portuguese Families of Stonington, Connecticut,” has been a long-time project of the author, who was born on Omega Street in the community she writes about, the southern portion of Stonington Borough when it was a primarily Portuguese neighborhood. This new version of a book she published privately in 1978 is richly illustrated with photographs, some never put between covers before. To order the book direct from the Historical Society, use this link: www.stoningtonhistory.org, then go to the tab for buying books.